In addition to the variety of informational resources presented on the MSP Platform website, there are several additional curated collections of practical experiences which provide useful references for MSP in Europe. The links to the following platforms are shared in our continuing effort to make highly relevant information available from our comprehensive website. The Maritime Forum aims to improve communication amongst EU maritime policy stakeholders. It allows parties interested in the EU maritime policy to communicate on a common platform. They can publish events, documents and follow developments in their areas of interest. The OURCOAST ICZM Database seeks to bring to light experiences, knowledge and tools that have been developed for Integrated Coastal Zone Management (ICZM). The database provides short summaries describing cases where the principles and tools of ICZM have been applied. This facilitates the sharing of experiences from around Europe, and further encourages the adoption of good practices in coastal management and supports the decision-making process towards a more integrated and sustainable approach. There is significant overlap in the principles and practices of ICZM and MSP; therefore, many of the cases included in the OURCOAST database are pertinent to MSP. Although new cases are not currently being added to OURCOAST, the descriptions of previous practical experiences are still relevant. All marine and coastal solution examples are curated by the Blue Solutions project, a global, multi-organisational initiative, which collates, shares and generates knowledge and capacity for sustainable management and equitable governance of our blue planet. Since 2013, Blue Solutions has pioneered the development of an approach to capture success stories, promote them and facilitate their adaptation to and implementation in new contexts to stop re-inventing the wheel over and over again. On the online platform Marine and Coastal Solutions Themtatic Portal, descriptions of these success stories (“solutions”) from throughout the world are available, including those presented at workshops and events, which were conducted in Asia, Latin America and Africa. Several solutions that are relevant to MSP are currently available, and additional descriptions will be continuously added. Explore the solutions now and contribute your own experiences! OpenChannels is a knowledge hub for the global community of practice on ocean planning, ecosystem-based management, and marine protected areas. The Forum for Ocean Planning and Management presents the latest news, literature, online events, grant opportunities, jobs, and more. And building capacity through training marine spatial planning professionals. This is an external database that will not be updated by the EU MSP Platform. The Marine Spatial Planning Research Network is an informal grouping of scientists, policy-makers and practitioners who wish to contribute to the development of marine spatial planning through academic-based research. The network is interested in evaluating the varying approaches that are being applied in different contexts, and exploring new ideas and techniques for taking MSP forward. 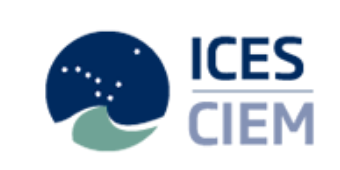 The ICES Working Group Marine Planning and Coastal Zone Management (WGMPCZM) discusses current developments around Marine Spatial Planning (MSP) and Coastal Zone Management (CZM) in the ICES area. ​​​​​​​​​​​​​An inter- and transdisciplinary group, WGMPCZM involves people from social and natural sciences and from administrations in ICES Member countries. Based on current developments in marine planning practice and research, WGMPCZM focuses on knowledge gaps in MSP, risk analysis, quality assurance of a) advice for MSP and b) of mechanisms and processes in coastal and marine planning, social-cultural dimensions of marine ecosystem services and the use of fisheries data in plan decision making processes.